How many times have you forgotten your passwords? How much time have you lost spent trying to recover your lost passwords? Aren’t you sick of the multitude of usernames, passwords and membership ids you have to remember every day? GID, the revolutionary new global identity system designed to make passwords obsolete and identity management simple and streamlined, is live on global crowdfunding platform Kickstarter and raising funds to bring the project to life. In today’s fast paced life, it isn’t uncommon for users to have dozens of accounts and passwords along with several membership and credit cards. GID has created an all-in-one solution that will clean the clutter and make account management easier than ever. GID stands for Global Identity. Each user will receive a GID number which is an alphanumeric code generated by the user biometric data. The GID code then is generated using a proprietary algorithm which can then be used across a multitude of platforms and services. Each GID number is created with a user’s fingerprint to generate a 15 character alphanumeric code. Each code is unique, singular and unrepeatable. Users don’t even have to remember the code as it can be accessed instantaneously using their unique fingerprint. Together with a GID numbers, users will be assigned a GID email and a messenger account. In addition users will also receive data cloud storage to save their personal files and documents, a dedicated page for their professional CV, and a password manager to store private passwords and accounts including web logins, social media accounts, credit card numbers and more. GID account holders will receive a GID Card which gives them exclusive offers, discounts and services. To access these special deals, users can either physically use their cards or by scanning the included QR code for virtual use. GID users will also all received the GID sensor, which is designed in order to easily generate the GID number and the associated account. 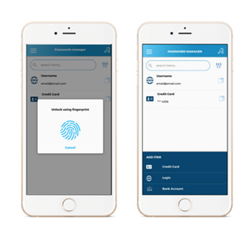 By using the fingerprint scanner, the user can also access a complete universe of services that are constantly evolving. GID is already hard at work at securing partnerships and special memberships for their members. Plans are also in the works to allow users to send money across the world using a GID number as well including medical services including storing medical history and allowing for easy access to emergency services. The company is also working on GID SDK to allow users to join new websites and social services with their unique ID and allowing for GID payments on e-commerce merchants worldwide. We are a young technological generation that has the opportunity of exploiting a large variety of resources. We want to leave our world better than how we have found it, using the technology for make people’s life easier and safer. GID means Global Identity which underlies the concept of globalization.